The next page is the Congratulations Page. This tells you that you have entered all required information so that we can create a site for you. 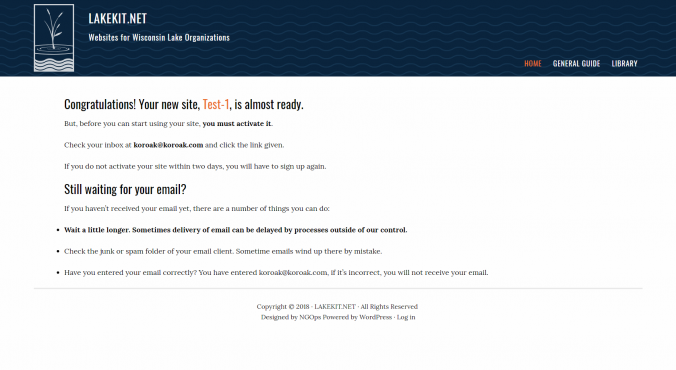 It also tells you that you will be receiving an email shortly with a link that will activate your account and your site. Please be patient and look in your email spam filter if you haven’t yet received your email.